Precision crafted from the finest billet aluminum, using the latest CNC machining processes, this replacement brake pedal kit fits many Ducati models. Adjustable toe piece in delrin included (three positions available), but can be upgraded with a separate folding toe piece if desired (optional at extra cost). Adjustable height/angle is also available. 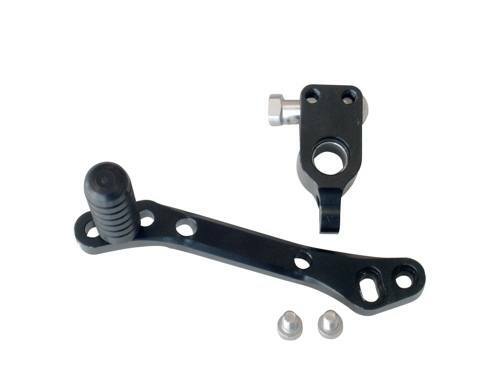 Can be used with factory rearsets, as well as other aftermarket brands if desired.